I'm a DC Guy. This is like rooting for USC all my life only to find out the coach is a closet Bruin. But I find myself conflicted. I always loved the idea of watching a Disney film, but now it's going to feel like something else seeing it come with that Marvel logo. Now in a perfect world, Warner would own Marvel Comics and Disney would own DC Comics, but we all know that we don't live in a perfect world... we just live in the one that born us, and you have to make the best of what life throws at you. I mean, here's to having more more great films come from the ideas of the the House of Marvel. I think that X-Men and Spider-Man are very good films. "X-Men 2" and "Spider-Man 2" are almost perfect films. While "Fantastic Four" 1 and 2 and "Spider-Man 3" are as flawed and screwed up as adaptions can be. I've always thought that "Superman," the first Superman film was the perfect adaption. Or at least the closest one to come to the screen. That was before last summer and "The Dark Knight" was released. That film is absolutely the best comic book adaption ever. So much so that it stands out and above just being a Super-Hero film. In fact, I feel that the resulting success of that film made Iger stand up and take note. He realized that the Mouse had no properties it could develop like that. Even some of Marvel's second tier characters have scored well lately. Iron Man was great fun, but not on the same level as the Caped Crusader, but a wonderful film none-the-less. Now I don't wish for them to have any bad films. I want them to knock a blockbuster out of the park. With movies that will create great franchises that we might see turn up in Disney's Hollywood Studios or the like. With Disney backing them I believe this is very possible. I think all these fans whining about Disney watering down the films is ridiculous. They obviously haven't followed many Touchstone or Miramax releases to know that the Mouse has plenty of dark, mature and adult fare. And like I said in an earlier post, Iger is not a tinkerer like Eisner. If a division is running smoothly he's not going to mess with it. He's going to see what he can do to improve it. He's going to be a facilitator, not a meddling fly that annoys the head of the Marvel division or the Pixar division. And I think having John Lasseter in Marvel's corner is a very good thing that bodes well for the future too. So now we have the Walt Disney Company the world's largest entertainment company owning the worlds largest comic company. Then there is Time-Warner the second largest entertainment company owning the second largest comic company. How fitting. It's just that well, I'm a DC Guy and this is a weird situation that I'm going to have to get used to. Reminds me of the kids I grew up with always arguing over Ford v. Chevy. Most of them wound up in Juvie. Besides, who's to say Iger isn't looking at DC next? You think Warner would give up DC Comics? To paraphrase Charlton Heston: "When you pry it from their cold, dead hands!" If having John Lasseter in Marvel's corner is a good idea, what about having some of Marvel's creatives in Pixar and Disney's corner? Communication is not a one-way street. This could be a great boon for both sides. Nah, no chance. If Disney want comic books or superheroes, Marvel is easily the best option (irrespective of DC's owners). The characters are just soooo much better. lol. It's all a bit surreal isn't it! At the minute I'm feeling as though Disney are trying to buy up everything that I like. Man, I'm a DC guy too, and your thoughts fairly well sum up how I feel. But of course, WB is home to all film and TV ventures DC, so no change at all to come there. But this deal also reminds me of Disney's purchase of the CrossGen catalog some years back. I was a faithful reader of Ruse, Sojourn and Mystic, and was somewhat hopeful Disney might still breath some life into bringing the line back somehow. But it's been too long now, and if it ever happens, Disney will need to invest a lot to build up their universe all over again. But good luck to Marvel and Disney on this. I envy the apparent creative freedom Disney will laud on Marvel during this relationship. Maybe they can work on some more crossovers between Marvel and D.C. I couldn't be happyier.. Until Spider-Man and Mickey Mouse are in the same film, Make Mine Marvel (AND DISNEY)!! I am with you, Honor. DC all the way. Honestly, given the alignment with WB, I've been glad that the Mouse has stayed away from the funny books. 1) A POWERS animated prime time series, with Brad Bird as Exec Producer (that would so ROCK!). The weird thing I've noticed about the Coke and Pepsi of the comic-book world is that DC has the better heroes and Marvel has the better villains. Heck, the only Marvel heroes that make any kind of sense are Captain America and the X-Men. Superman, Wonder Woman, Batman, The Flash, The Atom, Aquaman, Plastic Man... Those aren't just superheroes: they're superhero archetypes. I'd even take Sandman and Jonah Hex over whatever a Spiderman or a Fantastic Four is. But then, I haven't bothered to pick up a Marvel comic for 20 years, make of that what one will. Of course, in the balance, DC also has the better movies and cartoons, probably because they also have the better heroes. The most shocking thing I hear coming out of the deal is Marvel fans complaining about the company's supposed loss of creative integrity... What creative integrity?! Disney just wants to skim from the fact that Marvel produces brainless summer pablum for the same people that keep Underworld and Final Destination being profitable franchises. Marvel should be so lucky as to have Disney wreck its creative integrity. I don't read either, I'm a creator owned comic guy ALL the way, but I too lean DC's way. And I also think that DC's "cleaner" image fits Disney better, but what are you going to do? Although for the theme parks Marvel is MUCH better since DC is tied to Six Flags. Wouldn't that be embarassing, "why are Disney's characters at Tragic Mountain Mom?" Cory, you think Marvel has better villains? Ever heard of the Joker? @ Cory Gross - I beg to differ that DC has better movies and cartoons. X-men, Spiderman (90s), Spiderman and his amazing friends, spectacular spiderman are all classic marvel cartoons. The only great DC cartoons are Batman: TAS and Batman Beyond and maybe Superman: TAS. Both companies have an equal amount of great movies and cartoons. x2, spiderman 2, iron man all rank at the top of great comic book movies along with The Dark Knight and the original superman. 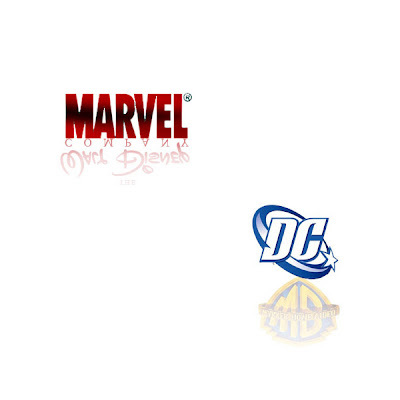 I don't think either company has a leg up on the other they both have great franchises although I tend to love Marvel alot more. haha. Just personal preference. In a perfect world, Disney wouldn't be "buying" ANY characters. It would be creating its own. It would also build its on AAs, and speaking of which, hey, Hunter, how about that new Fantasmic Dragon, huh? All big and wobbly and plastic and...meh. No commentary from you? Did you miss the memo? Is this even a Disney blog any more? I didn't say that DC didn't have good villains, or some really great villains. The Joker, Darkseid and Lex Luthor are the best. I just said that Marvel has better ones on the balance. Maybe it's a matter of taste, but I've liked every cartoon DC has made since Batman: The Animated Series. Superman, Justice League and Batman Beyond for the old continuity, The Batman, Teen Titans and Legion of Superheroes for the new. Relative to Marvel I admit that I did like X-Men: Evolution, but the 60's Spiderman and 90's X-Men only get nostalgia points. For movies, if we just take the current era of Batman Begins onwards, well, the only one I didn't like was Superman Returns. Okay, I ignored Catwoman and Constantine. But both Batmans, The Fountain, Watchmen and V for Vendetta give me high hopes for Jonah Hex, Deadman and Lobo. Heck, I started reading Jonah's comics just to prep for the movie. I grant that Spiderman was a clinic on making an engaging superhero movie that captures it about the character, and Spiderman 2 was also good, and Iron-Man. But contrast that against the messes that were, well, everything else, be it X-Men, Fantastic Four, Punisher, Hulk, Daredevil and Elektra, Ghost Rider, and Blade. The fact that Marvel keeps trying to reboot franchises that started this same decade really says something.